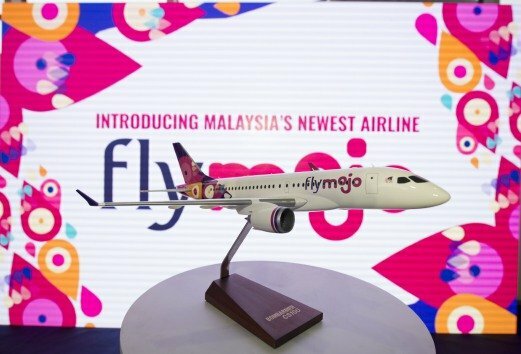 Malaysia has unveiled plans for a new airline, called flymojo, after signing a $1.5 billion deal with Bombardier for 20 new aircraft. The new carrier would be based out of Johor Bahru in the south and Kota Kinabalu in East Malaysia. The deal with Bombardier includes the option to buy 20 more planes, taking its value up to $2.9 billion. Malaysia has been coping with three aviation disasters in recent months. In the latest incident, a Malaysian budget carrier AirAsia plane crashed into the Java Sea while en route from Surabaya, Indonesia to Singapore in December, killing all 162 people on board. In July, a Malaysia Airlines plane was shot down over pro-Russian rebel-held territory in eastern Ukraine, killing 298 people. That followed another plane that vanished shortly after taking off from Kuala Lumpur to Beijing in March 2014. No trace of the plane has been found. The launch of the new airline was announced at the Langkawi International Maritime and Aerospace (LIMA) exhibition on March 17, with PM Najib Razak in attendance. Aziz Kaprawi, deputy minister of transport, said the new airline would play a key role in improving air travel between the Malaysian Peninsula and other parts of the region. “As the only airline utilizing the southern corridor as its headquarters, flymojo will transform Senai [Johor Bahru’s airport] into a key regional aviation and logistics hub – augmenting the government’s initiatives in developing Iskandar Malaysia and the southern corridor,” he said in a statement by Bombardier. The planes ordered from Bombardier are CS100 aircraft, which seat up to 125 people and would make flymojo the first airline in the region to operate the aircraft. Local reports said flymojo was scheduled to start operating from October this year.